It’s March and I doubt many people are still sticking to their New Year’s resolutions. I’ll admit, I’ve fallen off the wagon myself. I vowed to lose the last of the baby weight by getting in workouts a few days a week and eating healthier. The eating healthier thing was derailed pretty quickly because of sleep deprivation. Well, that and the fact that my children are in a phase where they won’t eat anything I cook. I could make pancakes for dinner and they’d still turn their nose up at it. 4 year olds are tough critics! 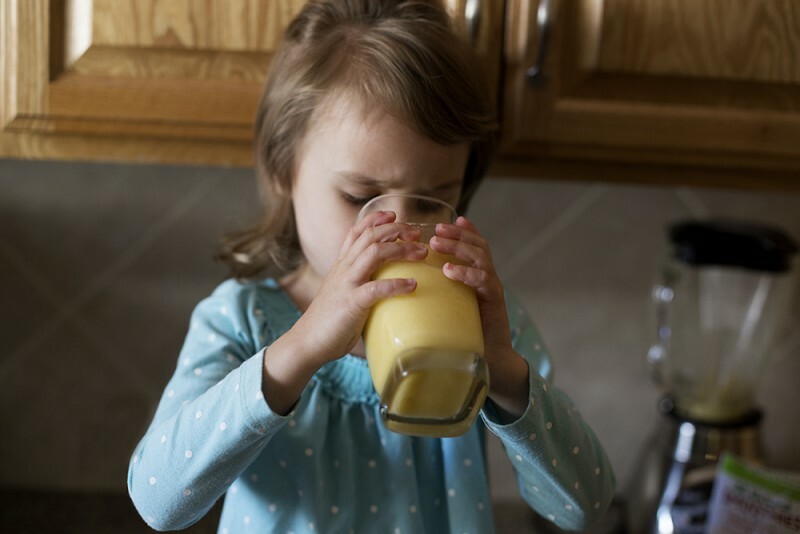 One thing I know I can do, if I can’t get them to eat their breakfast, is to make smoothies. 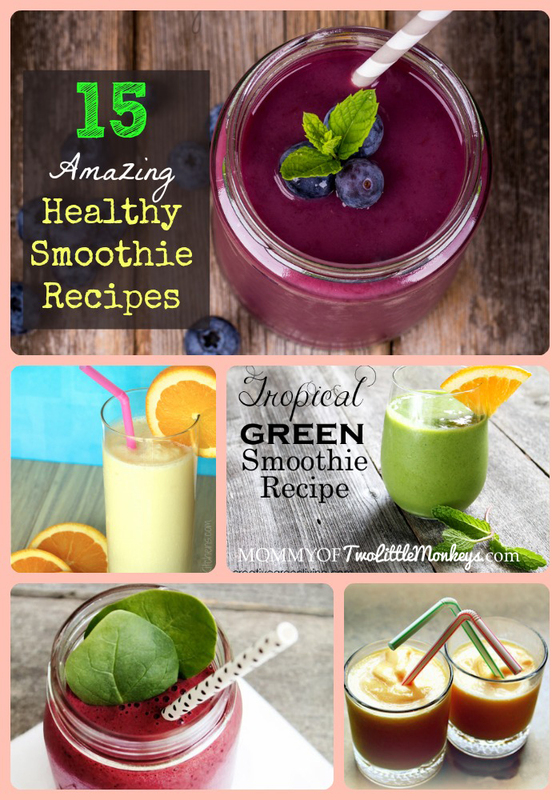 Smoothies are the perfect way to sneak in fruits and veggies. 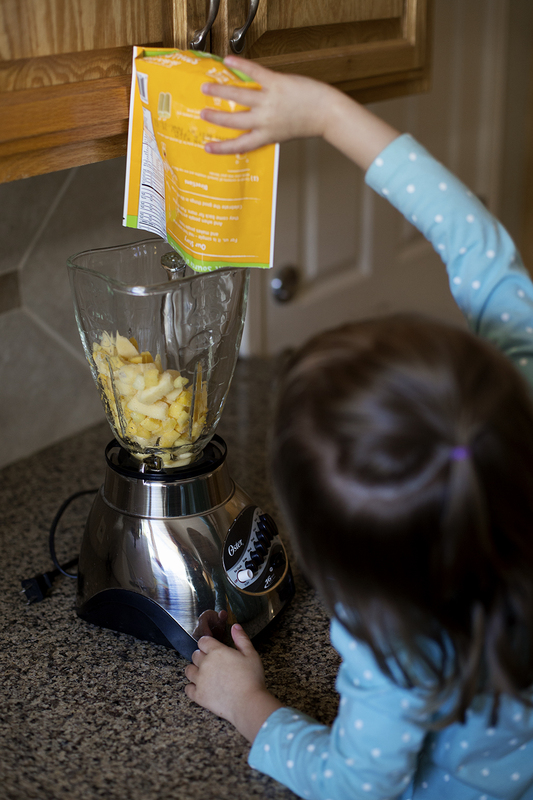 My daughter frequently asks for “pink smoothies” and they both jump at the chance to push the button on the blender. And since I’m usually not able to eat a decent breakfast, because I’m taking care of 3 kids under 4 years old, a smoothie is a quick way for me to eat on the go. 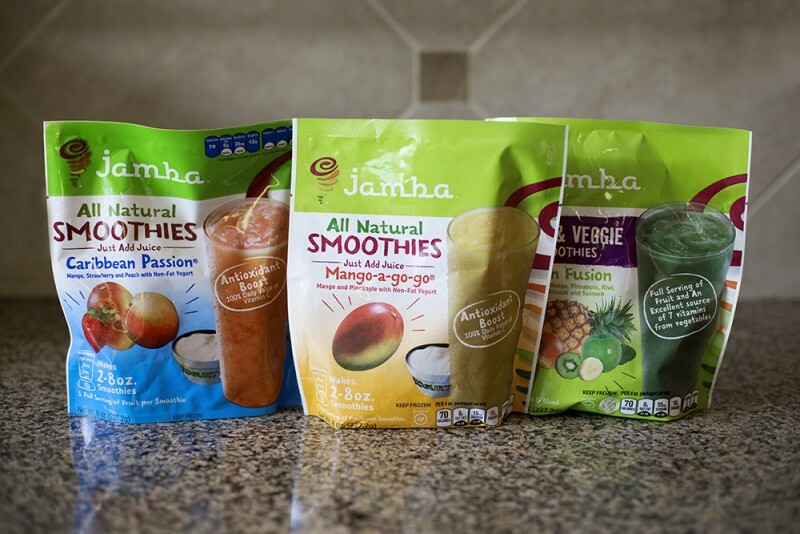 We are big fans of Jamba Juice so I was excited to receive products and review their at home smoothie kits. I was really surprised at the big variety of flavors to choose from. So many are my favorites from the Jamba store: Strawberries Wild, Mango-a-go-go, Razzamatazz, Orange Dream Machine and Caribbean Passion. The Blue, Green, and Red Fusion have veggies! I’m so excited to sneak spinach and broccoli under the kiddo’s radar. Just add some apple juice, blend, and it’s done. These are such a great snack and a fun way to cool down in the afternoon. It’s also a great grab and go breakfast as I mentioned before. I’m looking forward to not having to lug all 3 kids to the Jamba Store to enjoy a smoothie and have the added benefit of getting extra fruits and veggies into our diet. And well…YUM! 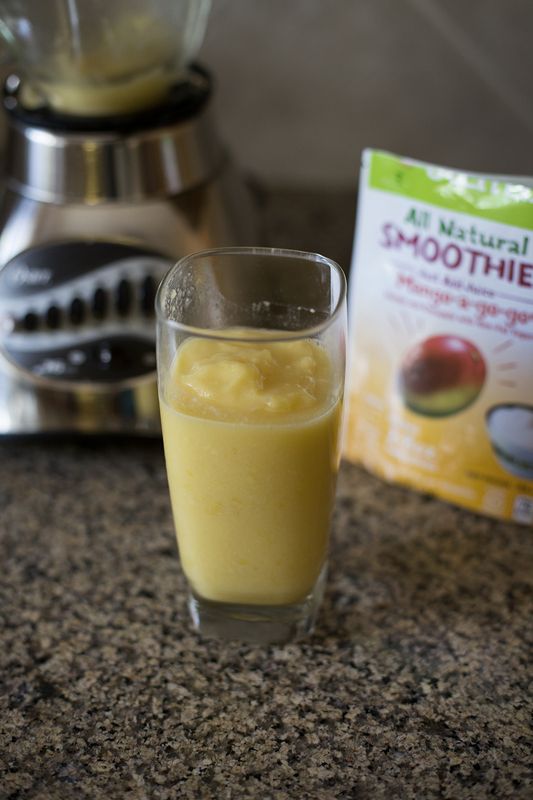 Look for Jamba Juice Smoothie Kits in your grocer’s freezer isle.